Truck driving is unlike any other industry in the United States. The hours are abnormal and most of a driver’s time is spent over-the-road away from family and friends. It takes a dedicated person to be a trucker and a noble one do the job well. Elwin Hines is both. 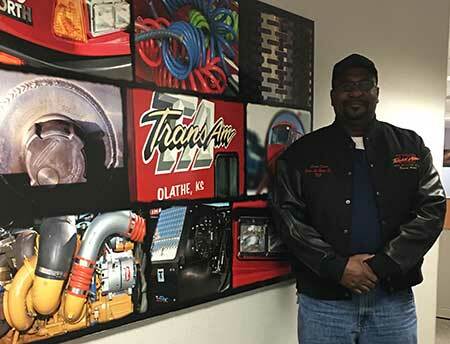 We are proud to say Elwin Hines has been a company driver with TransAm Trucking since March 2008. He is one of our safest drivers on the fleet, having achieved our DriveCam Top Performer status every week this year. Today we recognize him for another achievement. Elwin Hines has driven one million miles with TransAm Trucking. Thank you Elwin for your dedication and hard work. You are the epitome of what it means to be a noble driver. Congratulations on your Million Mile Achievement!